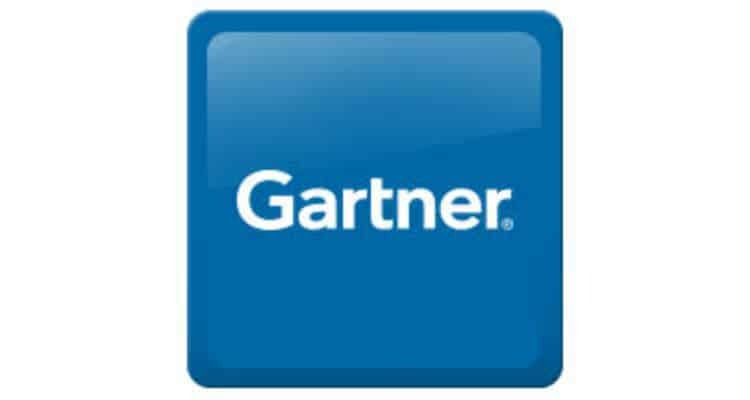 Gartner, Inc. highlighted the key technologies and trends that infrastructure and operations (I&O) leaders must start preparing to support digital infrastructure in 2019. “More than ever, I&O is becoming increasingly involved in unprecedented areas of the modern day enterprise. The focus of I&O leaders is no longer to solely deliver engineering and operations, but instead deliver products and services that support and enable an organization’s business strategy,” said Ross Winser, senior research director at Gartner. Serverless does not replace containers or virtual machines, so it’s critical to learn how best and where to use the technology. “Developing support and management capabilities within I&O teams must be a focus as more than 20 per cent of global enterprises will have deployed serverless computing technologies by 2020, which is an increase from less than 5 percent today,” added Winser. AI is climbing up the ranks in terms of the value it will serve I&O leaders who need to manage growing infrastructures without being able to grow their staff. AI has the potential to be organizationally transformational and is at the core of the digital business, the impacts of which are already being felt within organizations. According to Gartner, global AI-derived business value will reach nearly $3.9 trillion by 2022. “Teams have been under pressure to ensure network availability is high and as such the team culture is often to limit change, yet all around the network team the demands for agility have increased,” said Mr. Winser. The focus for 2019 and beyond must move to how I&O leaders can help their teams increase the pace of network operations to meet demand. “Part of the answer is building network agility that relies on automation and analytics, and addressing the real skills shift needed to succeed,” said Winser. The demands on the network are set to grow with the advent of 5G, increasing cloud maturity and the explosion in numbers of IoT devices. “These are just a few of the pressures leaders should anticipate — so the critical time frame to deal with this challenge is now,” said Winser. Gartner predicts that by 2025, 80 per cent of enterprises will migrate entirely away from on-premises data centres with the current trend of moving workloads to colocation, hosting and the cloud leading them to shut down their traditional data centre. “I&O leaders must prepare to place workloads based on business needs, not constrained by physical location. From colocation through to public cloud — plenty of alternatives to on-premises data centres exist. Leaders must identify whether there are truly strategic reasons to persist with on-premises needs, especially when they consider the significant amount of investment involved is often amortized over many years,” said Winser. Preparations must begin now, as the critical time frame for this is 2021 to 2025. IoT and immersive technologies will drive more information processing to the edge, redefining and reshaping what I&O leaders will need to deploy and manage. The edge is the physical location where things and people connect with the networked digital world, and infrastructure will increasingly reach out to the edge. Edge computing is a part of a distributed computing topology where information processing is located close to the edge, which is where things and people produce or consume that information. It touches on the laws of physics, economy and land, all of which are contributing factors to how and when to use edge. Digital diversity management is not about people, but rather about the discovery and maintenance of assets that are “out there” in any given modern digital enterprise. “There has been huge growth in the range and quantity of “things” that I&O is expected to know about, be supporting and be managing,” said Winser. “Traditional asset management is still important, but we’re moving into the realms of involvement with new assets that might have direct effects on the finances, health and welfare of the organization’s customers.” Preparing I&O is vital now before the critical time frame of 2020 to 2025. “For instance, IT is increasingly taking on the role of supporting cloud services in terms of aggregation, customization, integration and governance. A big challenge with cloud services is keeping costs under control, and the business expects I&O to be doing just that. Rather than focusing solely on engineering and operations, I&O must develop the capabilities needed to broker services; these will require different roles to the I&O of old,” said Winser. The critical time frame for this trend starts immediately in 2019. In 2019 and beyond, SaaS will have a big impact on how organizations look at infrastructure delivery strategies moving forward. However, most I&O leaders are still focused on infrastructure as a service (IaaS) and platform as a service (PaaS) solutions. “SaaS itself is becoming a level of complexity that IT shops aren’t yet coping with as they should. The shift to SaaS must be accompanied with I&O support, all the way from ensuring visibility is maintained of what is in use, through to supporting compliance requirements and enterprise integration needs. Leaders must start this now as the pressure will be on through 2021 and beyond,” said Winser. Historically, IT staff have been vertically organized based around the technology stack they managed. As infrastructures go digital, there becomes a need for people to work horizontally across stacks in order to identify and remediate technology work stoppages in their business. Expanding I&O skill sets, practices and procedures to accommodate hybrid operations is of the utmost importance in 2019 and beyond. “In short, talent is the critical ingredient for a modern, high-performing technology organization, and great talent is in high demand. People that show versatility and adaptability are quickly becoming must-haves, particularly in hybrid environments,” said Winser. One way to tackle this challenge this is to wisely choose the network of partners needed for global success. “I&O leaders must look hard at their existing partners and raise the bar of expectation. Can they clearly identify the value the partner will bring to them in the context of global infrastructure?